Hello all! 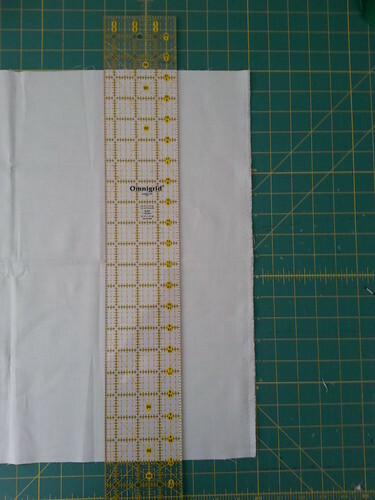 Today we're going to tackle the majority of the cutting for the Diamond Chain quilt! We're actually going to discuss two options for cutting. We will start with the cutting of individual diamonds. 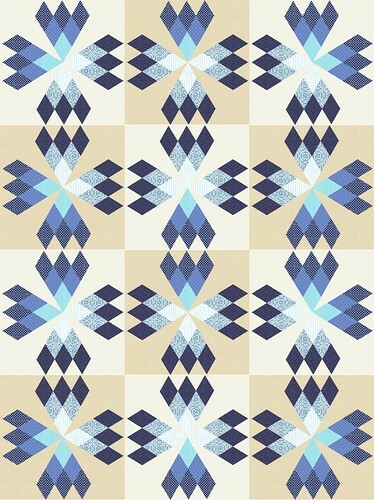 If you are going for a scrappy look [this quilt is great for that because the diamonds aren't too big!] then you can cut your diamonds individually. 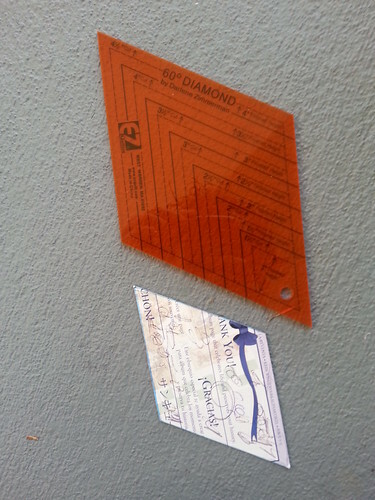 We are using 3.5" UNfinished diamonds. One thing to be careful of is if you're using a cardboard template make sure that your shape doesn't start to get warped over time from tracing around the carboard. 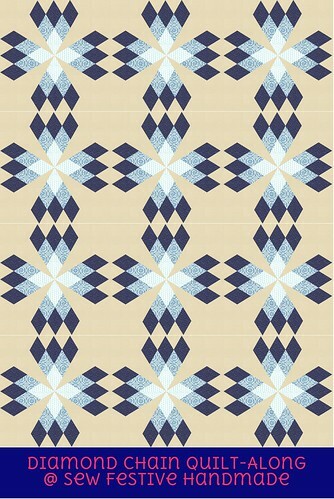 Your next option is if you are using a cohesive fabric scheme. That is, your quilt will look much like the mock-up at the top of the page in that I've used the same fabrics for the rings of diamonds in each block. You can even use this method if you're alternating blocks, like the example above. 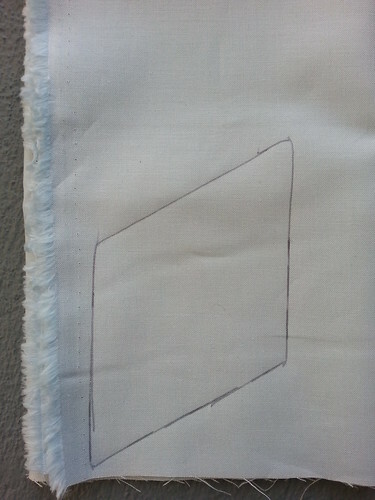 We will be strip piecing our fabrics for this method, so you will need to cut all strips to 3.5 x 18". 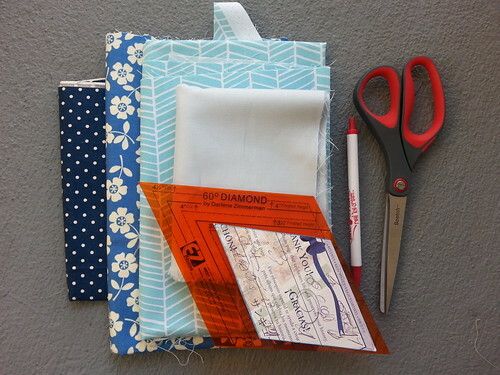 If you want to use 2 dark blue fabrics, for instance, just cut 18 strips of each, and so on. Note: We are not cutting our corner pieces until that week in the schedule, because they can be a little confusing. See you next week with all your pieces!